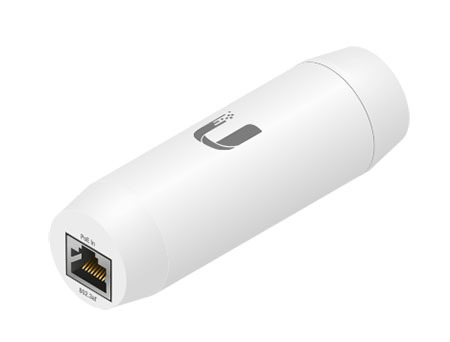 The Ubiquiti Instant 802.3af Indoor Gigabit Adapter (INS-3AF-I-G) is the new and improved, gigabit version. Converting any 48V 802.3af supply into 24V passive PoE, compatible with many Ubiquiti products. PoE In – Gigabits 802.3af port that can be connected to an auto-sensing 802.3af PoE Switch for automatic activation. PoE Out – Gigabit 24V passive PoE.